" We have been lived together for the first six year, and I’m sure we will have the second six year. But, to be honest, I can not confirm the third one. After Casper passed away, I will not have another dog. Because, I spend all of my heart, my energy and my soul with Casper, I can not afford to do it again. The bond between me and Casper can not be cloned." Casper met Yanzi when he was only two month. And they barely separate with each other only the Spring Festival. Yanzi gave up lots of opportunities traveling outside Beijing. Every time when they have no choose but separate for a while, it seems like Yanzi lost something, empty inside. No one will wait for her to come home, no one will give her big huge when she comes home, and no one will chase her to everywhere. Yanzi enjoys Casper’s company and she will never ever blame Casper who costs her most of the time and energy. Yanzi says that Casper gives all he has and at the meantime, Yanzi is the only one for him. Compared with that, Yanzi only gives Casper what she can offer and Casper is only a part of her life.So, Casper contributes more to their relationship, not Yanzi. Yanzi chose the photo that she and Casper took together on the grassland as her WeChat profile picture in the winter of 2013 and has never changed. She loves it and will keep it forever. As one of Wellcee Pet Friendly residents, Yanzi shows a strong compassion to dogs. In Yanzi’s opinion, dogs do not speak the way humans do, but, they have no problem expressing their feelings and emotions in other ways. Understanding them is a matter of being patient, paying attention and training your dog in order to comprehend what they are trying to tell us with any particular action or behavior.
" Due to the busy working schedule ( as a female entrepreneur ) and as an expat lived alone in abroad, easily feel lonely . It’s kong who gave me the homy feeling. when I got stress, kong make me relax and warm. " Kong was an injured homeless doggy at that time. Stacey believes that homeless & uncaring street life must be very difficult for this little poor friend. So, she saved and adopted this friend and named him “Kong”, hope he can be as strong as “King Kong”. Now, Kong is an adorable canine companion for Stacey. When we ask for training skills, Stacey replied that no one is perfect, neither as dog. They are not always the trouble maker, what really matters is dog owner. If the owner is a responsible person，a caring person，he/she will know how to train his/her dog.
" Seven has been abandoned twice. Previous owners abandoned him due to overwhelming working schedule and dog allergies. But I will never ever give up Seven! " Seven似乎没有因为童年的不幸遭遇而疏远人类，反而在与Daneil 相处的这段时间快乐且温馨。当 Daniel 心情不好、工作压力比较大的时候，Seven都会读懂他的情绪，马上跑来依偎在身边，给予他温暖和快乐。也正是这点让Daniel 非常感动，也倍加珍惜生活中有Seven 的陪伴 ! Have you ever wondered whether Seven can trust humans again? The fact is Seven forms emotional bond with Daniel again and gets a happy forever home. To Seven, Daniel is family, what Daniel feels, he feels. Everytime when Daniel were upset, Seven comes immediately over to snuggle, which makes Daniel appreciate this cute furry friend’s company. Owning a canine friend is more than a joy, is a privilege and responsibility. Daniel said that if you bring a dog into your life, think seriously about the commitment that being a responsible dog owner. 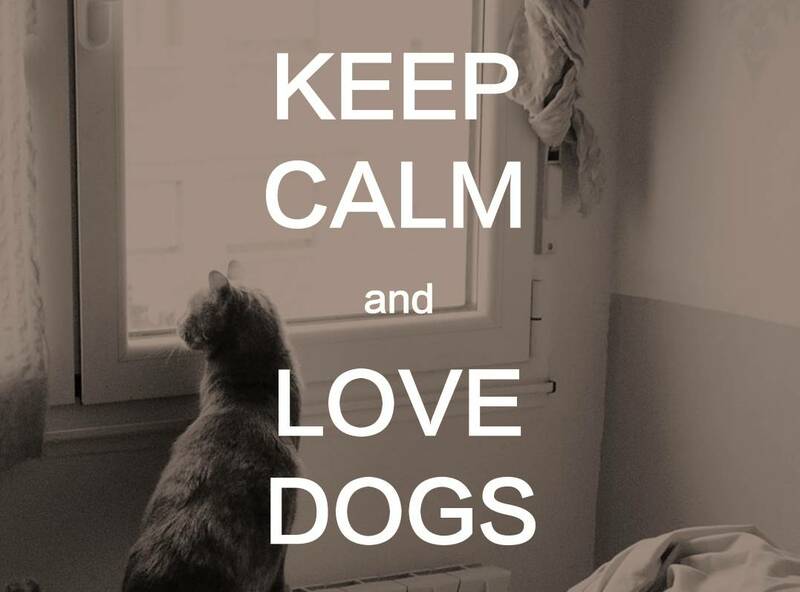 Paying more attention to and spending more time with your furry friend, you will get unconditional love.